Mark your calendars, its only a month away! 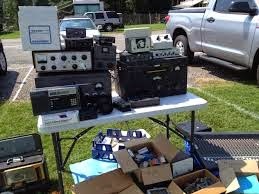 The Great Rochester HamFest returns to the Barnard Fireman's Field - 360 Maiden Lane Rochester NY 14616. This has been one of the better Hamfests in Upstate NY. You don't want to miss this one. Always some excellent tailgating here.